01/27/2019 12:55 PM Update: 🚘 IH-45 at Rayford/Sawdust is NOW OPEN! The construction by TxDOT has been completed and the roadway has been reopened to traffic. 01/26/2019 9:00 PM UPDATE: According to TxDOT, the repairs to the bridge decking have been completed. Officials estimate the freeway to be closed for an additional 24 hours; long enough for the concrete to dry. The roadway remains closed at this time. Spring, Texas – January 24, 2019: TxDOT will continue replacing the bridge decking on Interstate 45 this weekend. This closure was originally scheduled to take place last weekend, but was postponed due to rain and cold weather. There will be a total closure of the I-45 Southbound Mainlines at Rayford/Sawdust starting Friday, January 25 at 9:00 PM. The roadway is scheduled to re-open by 5:00 AM, Monday, January 28. Drivers will detour the closure by exiting I-45 southbound at the Rayford/Sawdust exit and re-entering the freeway at the next entrance ramp, just south of the construction zone. Law Enforcement officers will be on-site assisting with traffic control. The u-turns at the Rayford/Sawdust intersection will also be closed; however drivers will still be able to drive under the freeway. 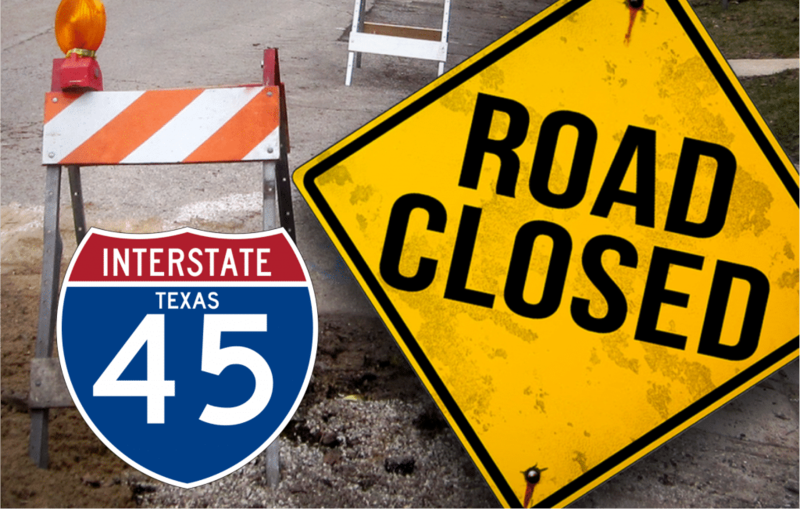 In addition, the Woodlands Parkway Direct Connector from Woodlands Parkway Eastbound to IH 45 Southbound Mainlanes will also be closed during this time. TxDOT is asking drivers to avoid the area is possible during this closure and to be caution when driving near construction zones.